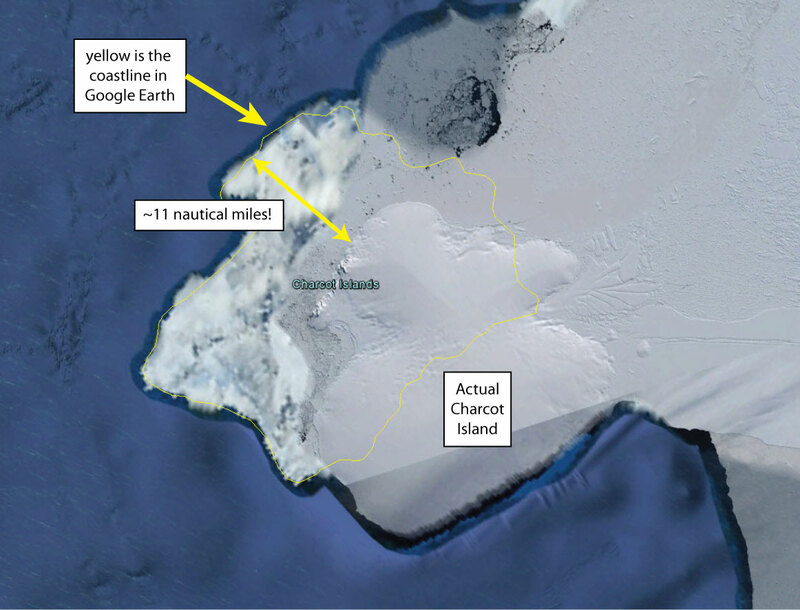 Navigation charts in Antarctica may not be as good as you think. It makes sailing in those regions a little more exciting than you could hope. Here is an example. Five miles wrong... What does that mean? 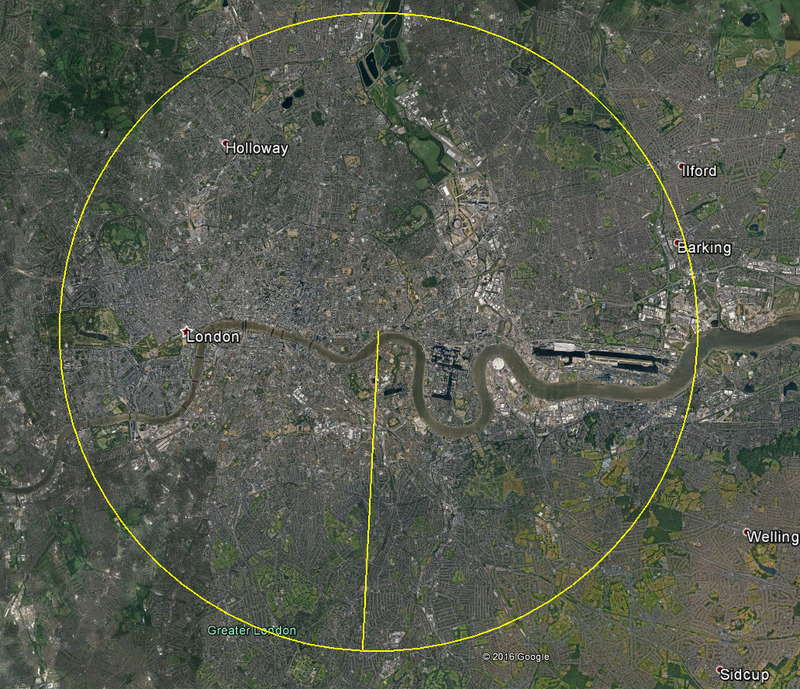 Here is London with a 5 mile radius circle drawn on it. London with a 5 mile circle drawn on it. 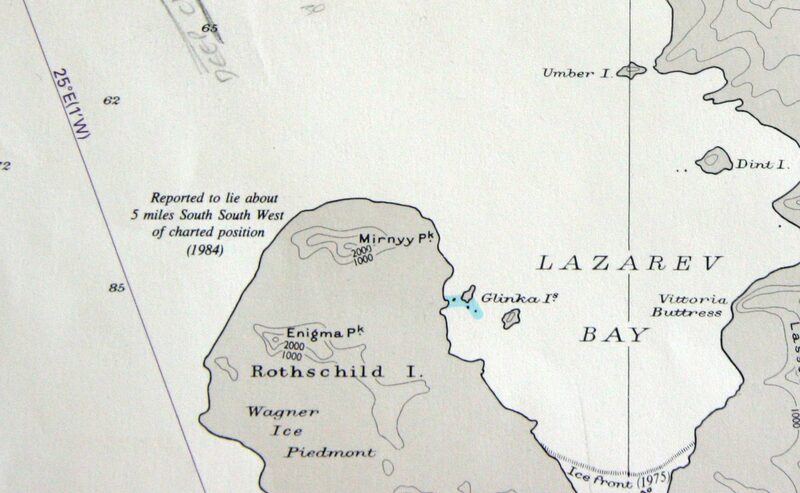 If you sailed your ship to a position - say the edge of Rothschild Island, you would not know the exact location of that coast to within the radius of that circle. Just get your head around that. In this age of satellites, in 2016 we don't know the location of coastline of Antarctica to the same level of accuracy that we already know the topography of Mars, Venus and our Moon. As usual there are lots of reasons. Most of the coastlines were mapped out by people on sailing ships and huskie drawn sledges decades before the satellites were launched. That means the outlines of the coasts and water depths tend to be excellent. But absolute position - basically the origin of the co-ordinate system - can be out. The bottom line is if you are trying to calculate position with a sextant and clock, it's hard enough in good conditions (for me!). But in a snowstorm when it has been overcast for several days? The historical navigators are my heroes. In practice today does this lack of accuracy matter? Charcot Island. A photograph of a repeater of the navigation display of RRS James Clark Ross in 2008. That picture of the ship's track tells the story. The ship has skirted the coast of the island, but according to the chart we ended up on land! I have a few examples like this from Antarctica. 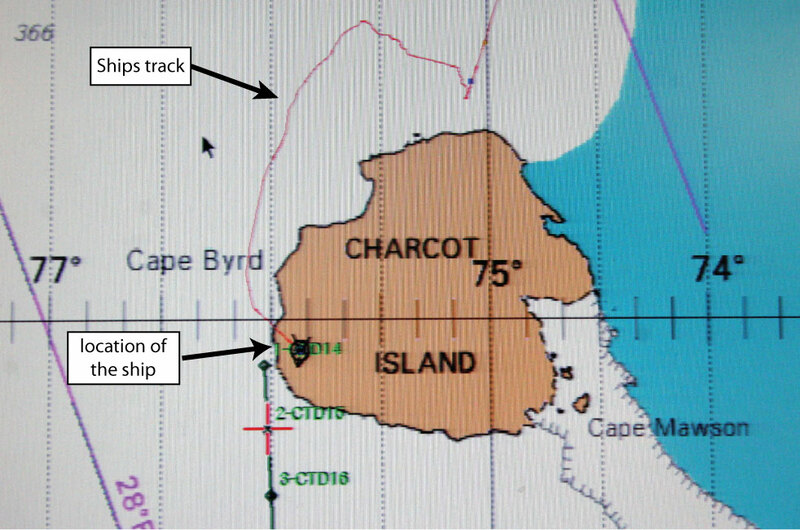 And even the mighty Google Earth has Charcot Island wrong. A screengrab of Charcot Island from Google Earth Pro 20 Nov 2016. The island is displaced by ~11 nautical miles. Polar ship Captains, officers and crews take ships into areas that are genuinely unexplored. We don't know the coastline or the water depths well. In fact, in Antarctica all you really can be certain of is you know you are going to be surrounded by icebergs and sea ice. Posted in History, Science. Tags: Charcot Island, husky, navigation, ship on November 30, 2016 by Mark Brandon.